It’s now April and Spring has sprung (at least for those of us in the northern hemisphere…), so it’s time for my March accountability update. If you’re new to “Recovering Shopaholic,” here’s the deal… I’ve committed to posting monthly accountability updates as a way of keeping myself honest and on track with my wardrobe and shopping goals. These posts include what came into and left my closet during a given month and how I did with my shopping budget and rules. These are some of the items that left my closet during March 2014. In addition to the items mentioned above, I also purged 5 workout tops, 6 pajama tops, one pajama bottom, 5 bras, and 3 scarves from my wardrobe. Since I’ve been playing “The Minimalism Game” (my husband and I started it on March 26th), I’ve been focused on clearing out all the items in my home that don’t add value to my life. I’ve been letting go of other things besides clothing, but I’m happy that I’m continuing to streamline my wardrobe in the process. Black and grey striped waffle top: The original long sleeves on this top were too short, so I had them shortened to ¾-length last year. Unfortunately, however, my tailor shortened them too much, such that the sleeves would ride up over my elbows whenever I bent or raised my arms. I grew tired of “fussing” with this top, so I let it go. Black/white/cobalt sweater: I bought this sweater on sale in early 2013 because I didn’t own any sweaters and loved the colors of this one. Sadly, I found the acrylic blend material itchy and was unable to wear the sweater without a long-sleeved top underneath. Since it doesn’t get all that cold where I live, I rarely wore the sweater. I decided to pass it on after having only worn it twice this past winter season. Dark green boyfriend cardigan: I bought this sweater online during February but never wore it. The color was much darker in person than on the store’s website and I didn’t find it flattering on my skin tone. The top button also hit me at an odd spot. I returned this cardigan to the store this past weekend for a refund. Grey polka dot tee: I wore this tee a number of times since I bought it in late 2012, but the printed on polka dots had begun to fade, making the top look cheap (which it was…). Moving forward, I’m only going to buy prints that are woven into the fabric, as those look more expensive and better stand the test of time. Grey striped cardigan: I bought this cardigan at a consignment store in February, but I think I was dazzled by the color, print, and brand. I was also shopping while upset, which isn’t usually a recipe for buying success. I tried to wear this sweater a few times, but just didn’t like the way it looked on me. I re-consigned it a few weeks ago, unworn. Navy cotton pants: These pants were over five years old and had passed their prime. They were worn out and faded and it was just time for them to go! Red sweater: Sigh… This is another consignment fail from this year! I bought this sweater in January and thought I really liked it. But after my Project 333 term was over and I could wear it in March, I just didn’t love it. The neckline was too low-cut for me, and the sweater never made its way out of my apartment. I’m glad I’ve really cut back on my consignment shopping (and am considering stopping it altogether!) because clearly I’m still making mistakes. I’m better off shopping at retail stores, sticking to my list, and spending more money! Light grey ruffle tank (not pictured): Another strike against me in terms of resale shopping. I think some of the resale shops are guilty of having “skinny mirrors,” as I never would have bought this top had it looked the way it did on me at home! It had too many ruffles and one of them hit me right around my rear end – not the most flattering look ever. This tank came into and out of my closet within the same month and was never worn. I wasn’t even able to consign it, as it was turned down (I was too embarrassed to bring it back to the store where I bought it, so I tried another store). I had to donate it and lose out on all of the money I paid for it. If there’s a “silver lining” to my consignment sob stories, it’s this… In the past, I would often tailor my ill-advised resale buys in an effort to “make them work.” While I considered altering the red sweater and the grey ruffle tank, I ultimately decided against it. I’m tired of throwing good money after bad and trying to rescue garments that I shouldn’t have bought in the first place. Sure, I’m out the money I spent for these items, but at least I didn’t throw more money down the proverbial toilet. I may still have a lot to learn as I strive to become a better shopper, but at least I’ve learned some powerful lessons! I also ordered a few items online that I ended up returning. I find that I don’t have a lot of luck with my online orders. It’s difficult to gauge colors and fits from the photos posted to e-commerce sites. Online reviews can be helpful, but there’s a lot of subjectivity involved, as well as quite a bit of variance among the comments. Although online shopping can be frustrating, I will likely continue it, as I’ve had a lot of trouble finding the items on my shopping list in the local stores. Who would have thought it would be so hard to find a replacement for the grey skirt I had to donate a year ago due to an alterations failure (I’m still lamenting that one!)? Or black jeans that aren’t like sausage casings on my legs or cropped to that unflattering ankle length that’s inexplicably popular right now? I added these 5 items to my closet during March 2014. I believe it’s important for us to understand why we buy new pieces, as becoming more aware of our purchasing motivations can help us to shop smarter. For this reason, I share my reasons for buying the new pieces I add to my closet each month. As you can see, I continue to make mistakes, but I believe that if I keep analyzing my purchases, my error rate will continue to decline as time goes by. Black and white geometric print skirt: Although midi skirts are supposed to be a big trend for spring/summer, I haven’t seen many of them in the stores. Where I live, it seems to still be a sea of maxis, minis, and pencils, with very few other silhouettes on display. So when I saw this fun printed skirt at a consignment store (I was there to drop off my recent cast-offs), I tried it on. I was pleased to see that it was a perfect fit! I look forward to wearing this skirt as the weather warms up. I have tank tops in both the cobalt and yellow tones within the print, and I can also wear the skirt with both black and white tops. Grey scoop-neck tee: I have recently streamlined the color palette for my wardrobe and included grey as one of my key neutral tones. As such, I wanted to add a few additional grey options to my closet. This tee was inexpensive and fit me perfectly. I feel that it will provide me with a number of additional outfit options for the warmer months. Navy summer weight cardigan: As I’ve mentioned previously, I run cold in terms of my internal thermostat. Even in the summer, I often need to wear a jacket or cardigan to keep warm, especially in the evenings. I can see myself wearing this cardigan over tanks and tees with pants during the summer. It’s a different silhouette from most of the other cardigans I own, which is good because I’m trying to vary the styles I wear a bit more often. I had considered letting go of navy as one of my neutral colors, but I decided that I still enjoy wearing this color as a less heavy alternative to black. Purple printed blouse: I like this blouse because the colors are in my palette and the print is not a stripe (I’m trying to vary the prints I wear, too). I have mostly knits in my wardrobe, but I like to include a few blouses in the mix, too. I have already worn this top out to dinner and like the way it looked. Sadly, it was a bit fussy, which wasn’t evident to me in the fitting room. I had to re-adjust it fairly often during the evening, which was mildly annoying. I think I will still wear it, but I doubt it will be as versatile as I had believed it would be. White cardigan: For someone who counts white among her core neutrals, I have very few white pieces in my closet. In fact, most of the white in my wardrobe is part of prints (primarily striped items). I decided to bring a few more white items into my closet in the coming months. This cardigan is soft, a decent weight, and has ruched sleeves that are a good length for me. While I will have to struggle to keep it clean, I feel it will become a wardrobe workhorse. Only clothing items are included in the item limit (but not undergarments, workout clothes, and pajamas). I was originally going to include shoes and handbags as well, but I do not have a problem with overbuying these types of items. In recent years, my overshopping has been limited to clothing, so that’s where the item limit needs to be focused. Of course, all other purchases I make are still subject to my shopping budget for each month and the year in total. If I buy an item and either return or donate/consign it before it is worn, it does not count toward my item total for the year. However, this exemption only applies to a maximum of 10 items, as I do not wish to perpetuate the buy and return cycle that has been problematic for me during recent years. I want to allow myself some mistakes, as I am continuing to address my shopping behavior and challenges, but I don’t want to say “the sky is the limit” in terms of how many purchasing errors I can make. Online purchases are not including in the “10 mistakes” stipulation, as it’s difficult to discern color and size variations from e-commerce photos and descriptions. NOTE: I have made additional changes since the time of this post. Click here to learn why I made those changes and what they were. With all that said, the number of garments that I have bought – and kept – so far this year is 15. That means that I can only buy 23 more items of clothing between now and the end of the year. Clearly, I need to slow down the rate at which I’m buying new clothes if I want to continue shopping through December. I have considered setting a monthly limit for myself, but I’m going to give it another month or two to see if I can learn to moderate my shopping. Ultimately, I would like to have as few rules in place as possible and learn to shop more consciously and wisely. I’m not there yet, but I’m pushing myself a bit to see how I do. My budget for clothing and related purchases (shoes, accessories, alterations) for 2014 is $3000. My March budget was $250 (unlike in 2013, my monthly budget will vary this year). I spent a total of $229.19 last month, slightly below my budget. My expenditures for the year to date add up to $680.28, which means that I am currently under budget by $69.72. However, in the interest of full disclosure, I was over my budget at one point, as I had bought a pair of jeans and ordered a few items online, all of which I ended up returning before the end of the month. I find it difficult to keep the math straight when I do a lot of shopping, particularly when I shop online. Sometimes it’s necessary to buy multiple options when shopping online, as my success rate is generally quite low. But this can also get me into trouble if I don’t keep track of what I’ve ordered and how much I’ve spent. If I buy things online, I really need to wait until each shipment arrives before I buy anything else. That way, I can calculate the total spent for items I’m keeping and subtract that amount from my budget. Armed with an adjusted total, I can then either refrain from shopping for the rest of the month or proceed cautiously with any additional buying I elect to do. If I “miss out” on any “deals” during my waiting period, I have to let that go. It’s more important that I stick with my budget whether shopping in brick and mortar stores or online. I’ve said this before, but I feel the need to reiterate how helpful I’m finding my item purchase limit to be. It really is a “game changer” in terms of my compulsive shopping recovery process. It’s forcing me to stay away from the sales and consignment shopping that was my default behavior in the past and instead shop far more mindfully. I used to come home from shopping trips loaded up with bags full of discount buys, many of which were rarely worn. I now have to shop for just a few quality pieces that meet my real wardrobe needs. If you struggle with buying too many items on a regular basis, especially if many of these purchases end up being mistakes, I highly recommend that you adopt an item limit for yourself. This can either be a monthly limit or a limit for the entire year like I have. Either way, I recommend that you not set the bar too high in the beginning. While I hope to eventually buy fewer than 38 garments within a given year, that number represents a dramatic decrease from what I bought in previous years. I will be very proud of myself if (when!) I stick to this limit, and I will likely lower the number some more next year. The objective with my recovering shopaholic project is to continue to grow, learn, and improve. I’m not striving for perfection and I know that recovery doesn’t usually occur in a straight line. Rather, there are often lots of ups and downs along the way. I try not to beat myself up too much for my mistakes, as that doesn’t help me to change. Although it’s not my usual modus operandi, I’m trying to show more loving kindness to myself as I work to progress from being a recovering shopaholic to a recovered one. If you’re with me on this journey, I recommend that you do the same. Remember… we didn’t get this way overnight, so it’s not reasonable to expect that we will turn it around that quickly, either. As the old saying goes, slow and steady wins the race. “Food, Shelter, Clothing and Optimal Wardrobe Size” – Janice from “The Vivienne Files” provides her input on a subject I wrote about last week. 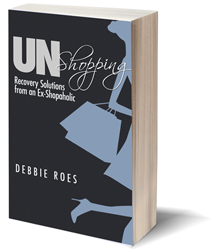 Not only are her insights witty and helpful, she also mentions “Recovering Shopaholic” in her post! Lisa, a frequent commenter here, recently started a wonderful blog called “Shopping Brake,” which chronicles her journey to shop smarter and shop less overall. If you love my introspective posts and focus on numbers and statistics, you’ll love Lisa’s blog, too! “How to Look Stylish with No Extra Effort” – Another great post from the incomparable Bridgette Raes! In this article, Bridgette refutes several common style myths and shows some useful examples of side-by-side boring versus fabulous outfits that take the same amount of time to put together. “How to Build the Perfect Wardrobe: 10 Basic Principles” – Anuschka of “Into Mind” is one of my favorite bloggers, as she exemplifies the premise that we don’t need to shop all the time and have packed closets in order to be stylish. She also offers concrete tips to help us take our wardrobes to the next level. ← What is Your Ideal Wardrobe Size? I think it’s funny you posted the link to the Minimalists site. They wrote some articles that made me really question shopping which is how I found your site! I was wondering… I think you mentioned somewhere here you were in SD? Did you attend their recent book reading? There was a woman that looked a lot like your pictures who was standing near the doorway there. I was wondering if that was your inspiration for the minimalist game? Yes, that was me at The Minimalists’ San Diego event! It was a packed house and a fun event, wasn’t it? I wrote a bit about it in my Monday post: https://fulllifereflections.com/2014/03/31/what-else-do-you-overbuy-besides-clothes/ I was definitely inspired to clear out more of my unused and unloved possessions – including clothing – after listening to their talk! You are so brave to share your struggle so candidly. I really appreciate your blog and find your insights very helpful. Also, why do you shop consignment stores? I have done so, and consigned clothing as well, so again, I’m not being critical. But I think it can lead to focusing on “the deal” instead of and your needs. You might even save more money overall by selecting two or three reliably good stores/brands and shopping them at regular price for items you decide ahead of time that you want. You deserve it! Finally, apropos of nothing, when I need to treat myself, I get a smashingly high end luxury that is very very small. Like two pieces of Belgian chocolate from the chocolatier. Or French milled soap. Or a luxury candle. No buyers’ remorse, and they are always cheaper than what I might buy to wear. Hey, every little bit helps! Thanks again for your work here. Your achievements are impressive–work it, girl! Debbie: Good work on reining in your shopping. I wonder, though, why you have decided that pre-worn donated or consigned items (limited to 10 for a year) are exempted from your total annual purchase. I understand the stuff that’s returned to the store, presumably for a refund. In this way the sale is voided and your clothing budget is adjusted accordingly. But consigning or donating your clothes once bought — whether worn or not — is a negative hit to your clothing budget and so should be counted in your total garment count too. The total number of garments bought should correlate with your clothing budget so you can get an average price per garment — e.g., 60 items for a total of $3K averages $50 per item — or price per wear — e.g., $50 blouse worn once a month is $4.17 per wear — and so on. You’ve given yourself 10 “Get Out of Jail Free” cards. Personally, I think having an annual dollar amount is a better barometer. (Mine is $250 for the year but I have a very workable wardrobe that only needs a bit of tweaking. If I were building a “back to work” or “first job” wardrobe, I’d allocate more.) By having an annual limit, I have to plan out over 12 months to make sizable purchases (like all-leather winter boots or a new bathing suit [almost $100 –Yikes!]). I know in April that if I want to pay over $200 for leather boots, I am done with 2014 shopping until boot season. Or I can estimate that I can get boots on a pre-season sale for $95 and then reserve the $105 for other purchases. When the $$ run out, there’s no need to go to a store or peruse the Zappos website or whatever. I don’t worry about the number of items in my wardrobe because I focus on quality over quantity and I’m willing to wait a long, long, long time to find the right item. Amy, Thank you for your comments and your thought-provoking questions. I think a big problem for me with consignment shopping is that I find things that are GOOD but aren’t necessarily what are my highest priorities. That definitely CAN lead to a packed closet. I am doing MUCH less consignment shopping these days and am considering cutting out that type of shopping altogether or at least for a while. I need a consignment detox, as it were. I like your idea of treating myself to items besides clothing. I especially love the dark chocolate idea! Dottie, everything I spend on clothing is subject to my budget, including alterations fees and what I spend on items that don’t work out (except, of course, for items I return for a refund). I see your point about average garment price, but that’s never been one of the statistics I’ve calculated (surprisingly – I’ve calculated pretty much all the other stats!). For me, having an item limit is a lot more effective than a budget, as I used to just buy TONS of items every year. Perhaps that’s because my budget is higher. I’m considering getting rid of the “get out of jail free” cards based upon the comments here. I’m just worried I won’t be able to make it with my item limit. I know that probably seems crazy to you since you’re so good at buying only a few items per year, but we’re all starting from a different place. I know that if I continue to challenge myself and progress that I will buy less and be fine with it. I’m getting there, but it isn’t always easy! Yes, I am starting (or rather, continuing) from a different place because I went through something like your challenge decades and decades ago. So not only is changing shopping habits do-able but these new habits are sustainable over a lifetime. Still, as I get older and face, oh, 25-30 years of retirement, I have regrets about $$ I’ve frittered away in the past (including recent past) on stupid stuff (and I’m pretty frugal!) In the long run it matters not whether you’ve bought the perfect black skirt or engineer strip shorts in 2014. There’s very few opportunities for do-overs in life. Love your idea of little treats! Hi Debbie! I think I’ll start by saying this is coming from a place of great understanding rather than one of judgement. A couple of things really jumped out to me with this post. The main one being that any item that hasn’t been worn and goes to consignment doesn’t count. It’s probably not a coincidence that this new rule came about the same month that you got rid of a few things that you bought on consignment and couldn’t return. I understand returns, I do it far too much myself, but if I make the choice to buy something on Ebay and I know I can’t return it I figure I own it. My hope is that it will encourage me to make better choices in the future rather than keep repeating the same mistakes. I do some online work that I get paid for in giftcards or PayPal. As recently as last year those items “didn’t count”. They didn’t get acknowleged as money spent or as an item number added. I realized this behavior was not giving me an accurate or true picture. It really reminded me of other addictive behaviors from my past. This year I am writing down the amount the item would have cost regardless of how I pay for it. I am really going to try to not go over my item number or my budget, but if I do I figure I will at least know what I’m dealing with. I know I could be reading this wrong, but if it were me I know that some of these things would raise some red flags. Do you think it’s possible that you’re trying to do too much, too soon? I think that you’ve been doing great and I want you to have success and peace of mind. This month I brought in 7 items bringing my total to 15. I spent $188.85. I got a taupe top, black tee, BCBG dress, blue flowered top, black dressy top, pair of jeans, and a pair of black pants. Tonya: I agree with you that the notion that every purchase (except returns for credit) should count no matter how purchased — even with gift cards. A gift card to Sears, for example, that is spent on clothes or accessories should be counted in the total number of clothing items purchased in a year. A gift card spent on a set of tires at Sears does not. The reason I picked up on it so quickly was that I’m guilty of very similar behavior myself. The reason I pointed it out was because I thought I was getting what I wanted (more clothes), but I feel like I held myself back and did more harm than good. If you think 38 items is too big of a leap, why not add the 10 pieces to your yearly amount? You will be honest with yourself and still have made a big improvement. It’s tough to change what used to be (and maybe still is) a fun and pleasurable habit (shopping). So what if you exceed your limit this year? It’s much better to count all of your purchases no matter how they turn out than approach shopping with 10 free passes – 10 “planned” mistaken purchases. I keep on saying this because I think it’s a better measure but just a budget limit might work better. You could spend your monthly allocation on one item or 20 but when you’ve hit the $$ limit, you’re done. No more shopping at all. In this way, your mind isn’t clicking through the number of items bought to date (IBTD) to see if there’s room for one more trip to the store. I think focusing on # of items keeps you in a mind set that allows additional purchases because you have “room” in your item budget. The $$ budget allows you to focus more on quality vs quantity. You could spend your monthly budget on 2 gorgeous $150 silk blouses vs. buying (and returning or otherwise recycling) less expensive and less satisfactory clothes. Just saying… .Now I will shut up. Good work on culling and cutting back. I know this isn’t as simple to do. I both want and don’t want more clothes, Tonya, and I know you understand what I mean. I may have been trying to bite off more than I can chew with the 38 item limit, so I may add to it like you suggested. I just want to continue making progress… I like you comment about your husband. My husband is also too wise to buy me gifts “just because.” I get only a few gifts per year, so I feel just fine about not including them in my item limit. Dottie, I think you and I are going to have to agree to disagree regarding a budget being the best course of action for me. I’ve been using budgets for over 11 years now but only stuck to my budget for the first time last year. That was helpful and I STILL plan to stick to my budget every month, but I needed to take it to another level. For me, the combination of a budget and an item level limit is the right way to go, at least for now. I’m taking it one year at a time and I’m definitely working to buy fewer but higher quality pieces. That’s one of my reasons for keeping the higher budget but also incorporating the item limit. I’m glad your system works well for you, but there is no one right way of approaching this issue. We all need to find what works best for us, and adjustments may be needed along the way. Whatever works for you is the system to go with. Keeping my $$ allocation tiny prevents me from shopping or even thinking about shopping. Also, I think working in retail is like working in a bakery. After a while, the excitement of clothes begins to pall. And especially after I see how customers treat clothes in my store I swear I will never shop again (but I do). Just love this. I will soon be able to share with you how I have finally gotten to see the floor in my own wardrobe, though I won’t be buying any more to refill. So I can get my thrills by proxy and reading your accountability posts. I look forward to reading about how you have finally gotten to see the floor in your wardrobe. Congrats on the excellent progress you’ve made and on the fact that you’re not shopping at all for a year! You have tremendous willpower and I admire you! Thank you for reminding me that as I am getting rid of clothing I also need to think about why I bought the items in the first place (what appealed to me) and why I am letting them go (what particular features bug me or are not flattering). Thank you also for your “What is your ideal wardrobe size?” post! The first time I read it, I didn’t think much about it. It took a few hours to sink in. By lunch that day I was stunned at the discrepancy between how often I wanted to wear clothing items and how often I could based on what I owned. When I went through my closet that evening and pulled out all the stored items from P333, I just had way more than I would ever be able to wear. I have removed 30 items in the past few days so I am down to 70 as of last night. I am doing a new round of p333 – but I have to wear everything this round as a challenge to prove I really need to keep an item that I want to keep. Thank you for your honesty and inspiration! I’m glad you found both this post and my last one useful, Leah. It IS mind-boggling how much we have versus how much we truly need, isn’t it? 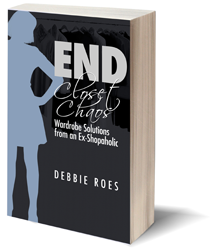 Congrats on removing 30 items from your wardrobe and getting down to 70 pieces in your closet! I think having a rule to wear everything within a Project 333 capsule is a good way to go. Best of luck to you with Project 333 and your continued wardrobe pare down! I’m actually doing a P333 inspired challenge since I was in the middle of a P333 challenge when I read your post and realized that a lot of what I had in my stored items would always stay stored. I was keeping them to justify my purchases, never to wear them. I really liked the items, but they were never my first choice. So I pulled everything back out of the guest closet and now am making myself wear everything – my modified P333. I am starting with things that I like and want to keep, but don’t wear. It’s amazing how much I try to resist wearing some things. If I feel that resistance, the item has to go. I love your modified P333, Leah! I got rid of a lot of things last year by pushing myself to wear everything. I still have items that aren’t my first choice (love that way of referring to it…), so they probably should go soon, too. Best wishes with your continued wardrobe culling! I saw your post on Janice’s blog earlier in the week, how fun! My wardrobe update for March. No purging of the boutique in March. Our spring has been very slow in arriving so building up the working closet has been slow progress. However, I did stick to the two item limit for March. And that was not easy! I purchased my two items in the beginning of the month, so it was a very long month. And you are very kind to mention my blog. I’ll be adding some updates soon. Congrats on sticking to your tw0-item limit for March, Lisa! I keep going back and forth about instituting the same limit for myself. My current thinking is that might be the way to go… I was happy to mention your blog and look forward to seeing more posts. You have some really great insights! I wish I could recall who steered me to you, but I know it was one of the bloggers that I highly respect where I found your blog listed as a fave. I’ve got some BIG issues to tackle with my closet, and I have a feeling that you’ll be able to help me (as well as my therapist! I’m glad you found my blog, Mamavalveeta, and I thank whoever steered you my way! 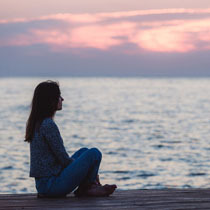 I hope you find my posts helpful – and of course a therapist can be very beneficial in conquering these types of issues, too. Best wishes to you! Debbie, you are really brave to be putting all of this information out there! I think you are making great progress. Your current month’s totals are getting close to 1-in-2-out which has got to feel good. Notwithstanding the comments you made about your new blouse my first thought on looking at the pictures of your purchases was that they look un-fussy (“fussiness” seems like something that has bothered you in the past) and very remixable. I really sympathize with your struggles over shopping “mistakes.” I believe that I have gained a lot of good insights into the details of what I really want to (and actually do) wear, yet I still do make these mistakes. It is demoralizing but I do think they’re happening less often and maybe such mistakes aren’t 100% avoidable. We just have to do the best we can, which hopefully gets better and better. Regarding the comments above concerning your rules for unworn items, if I’m reading correctly you are counting items donated/consigned before wearing in your dollar budget, but not counting them in your item budget, yes? That actually makes sense to me, if you want your item budget to reflect what actually comes in to the mix of your wardrobe. This does mean that your “dollar cost per item” would be somewhat increased but I would think that reflects reality. Thanks for your kind words and support, Sarah. I totally agree that shopping mistakes can be incredibly demoralizing! I get SO frustrated with myself because I really do think I’m making the right choice when I buy things. But I concur with you that mistakes aren’t 100% avoidable. For example, we can’t always know if things will be fussy to wear all day or if some garments won’t wash well or stand the test of time. We can make informed choices, but even then, some buys end up being mistakes. Regarding my rules, yes, everything I buy counts toward my budget, unless of course I return something for a refund. I am on the fence about whether to keep or scrap my new rule, as the other comments above made sense to me. I’m just deathly afraid I won’t be able to make my item limit goal and worried I will disappoint everyone – and myself. But I will continue to be real and tell the truth, as I really believe the truth can set us free! I know I’m just a “newbie” here, but it’s not about disappointing us, but rather being honest with yourself. We have ALL been there, Debbie! Mistakes are inevitable, but not failure if we look at them as learning experiences that we grow from. I don’t expect to get it right the first time around. As someone pointed out, I didn’t get this way overnight! But I’m a work in progress … Much kinder words to myself. Thanks so much for this comment! You are really right… I always try to learn from mistakes and write about what I learned so that hopefully others can learn from it as well. I know that recovery happens sometimes as two steps forward, one step back. I commit to stay the course and stay honest, and I will do my best to be kinder to myself along the way as well! Hello Debbie! As always, I love the insight these posts provide! I did a not so good job this month (see my budget post). My overall total is still good (9 items so far this year) and overall I have $1337.93 out of $1800 for the year left. But, I overspent by quite a bit this month and almost certainly binged after my no-shopping February. On the other hand, I feel more committed to minimizing my wardrobe than ever and feel good overall. I feel like I may have a no-spend April, and not because I am making it a goal but because I don’t feel inclined to add anything at the present. Yay! Let’s hope this new attitude continues for me! ‘I was originally going to include shoes and handbags as well, but I do not have a problem with overbuying these types of items.’ I wanted to point out that you seem to be trying to expand your item limit by exempting shoes and purses (I’m guilty of doing this as well!). You have listed them in purges and in purchases in the past, and admitted to having many more shoes than you needed at one point. I’m trying to respectfully point out that this may be similar (though to a much less degree) to the ‘creative budgeting’ I have been guilty of many times in the past, by trying to allow yourself more room for bringing in more purchases overall. Lounge-wear is one thing, when you never count it in your wardrobe totals or budget (I don’t either, I also neglect this category and never use it as an excuse to shop) but shoes and handbags you do, so it doesn’t seem to align as well. I wanted to explain that I was guilty of trying to expand my budget and other limits as well, but so far have been able to stop myself. Exceeding my budget this month though has me reflecting on what I could do better. I think you are right in that if you divided your remaining item # out by the month (even if you add 10 more as suggested) you may make it easier for yourself to stick to it. Adding rules isn’t what you want- I know you’re looking for internal growth, not just obedience to rules- but you are doing SO much at once! It’s very impressive but has to be overwhelming. You are 10,000x in a better place than, say, 5 years ago. I love what other commentors said on your numbers post- we didn’t get into this mess in a day, nor will we fix it in a day. Your blog has helped me tremendously and I hope you don’t berate yourself for mistakes and I hope you keep in mind both your progress and how much you have helped others! Thanks so much for your comments, Meli. First, I want to commend you on how well you’ve been doing this year. I read your purchase update and I really like all of the items you’ve bought this year. They also seem to be a good fit for you and your life. Keep up the great work! I know you exceeded your March budget, but overall I think you’re doing very well. As for me, your observations are right on. I AM trying to expand my item limit because I’m really afraid I’m not going to be able to do it! I have received a lot of wonderful comments and suggestions here and I’m currently weighing my options. I will do a post on this on Monday, but I DO know that I’m going to stop being “weasely” about my item limit. You’re right that I need to keep shoes and handbags in the mix, as I don’t want to go overboard buying there just because I have the budget to do so. I really want to stop bringing too many items into my closet. I don’t want to inundate myself with rules, but I do need to have some constraints on myself in order to avoid the really bad behavior of the past. It’s about balance, though, and I’m still figuring that out. Thanks for your support! I know you understand what I’m going through. I feel like our paths run so parallel to one another’s on the clothing front. I wanted to share my thoughts (long comment – sorry! ), because they certainly apply to my own journey, and may help you with yours, too. I think you’re shopping too much, and I think your budget isn’t doing what you want it to do. You have a net loss of just 3 items this month, and the items you’ve purchased, while lovely, don’t look significantly different to me from most of the remainder of your items. Your go-to skirt featured on This Kind Choice? Also a midi! The cardigan? Same shape as the others! Even if the new things are lovely — and they are — that’s not the point. We can’t own everything that COULD work for us – rationally, we know that, and realistically, we don’t really try to. But I see repeats where you see new. I am sure I do the same more often than I realize, too. From reading your blog over the last many months, it seems the budget is a crutch. YES, you’re spending less, but I think you’re shopping because you CAN and have the means to, rather than because you really want or need to get new clothes. It’s an exercise in practicing HOW you shop, versus questioning the extent to which you NEED to do so. And that’s still shopping for the sake of shopping. For this reason, I have struggled mightily with the idea of whether to set a clothing budget, because while it caps spending, a budget also ASKS to be spent, you know? And the net effect, from what I can see, is that you have five (or more) items coming in, and eight (or more) items going out, and while that’s a net loss of 3 items, it’s also a pretty significant revolving door of clothing, and I feel strongly that’s precisely what you and I are most trying to get away from in our efforts. Some food for thought. I have MUCH work to do on my end. Sorry this is quite long! I like this comment a lot because I think it describes ME exactly! It probably also describes Debbie too. I just plain like to shop and that’s one of the reasons why I read this blog to try to keep myself in check. Thanks for giving me this “light bulb” moment today! Thanks, Kim! I *know* it applies to me, as well. This is an interesting comment, Rebecca. Very perceptive. Thanks so much for your honesty, Rebecca. I read your comment yesterday but didn’t have time to respond until today. However, I’ve been thinking a lot about what you wrote. I agree that my budget is a crutch and that is seems to burn a hole in my pocket, so to speak, each month. However, I’m not sure how to get around it because I’m afraid of how much I might spend without a budget. I also don’t think my husband would be okay with my not having a budget because he’d be worried that I would shop too recklessly. I AM still bringing too many clothes into my closet, especially given what I’ve calculated in terms of ideal wardrobe size (last week’s post). And having rules like “1 in, 1 out” (or even 2 or more out) isn’t necessarily the best way to go because I sometimes end up getting rid of clothes I really like just because I need to get rid of something. I agree that the answer is to shop less and that’s why I created the item limit. But what really needs to happen is for me to stop wanting to shop so much (like what Kim said). Bottom line, I don’t know the answer, but you have led me to think more deeply, and I appreciate that. I will be doing a post on this whole topic on Monday, as I have thought a lot about things based on all of the honest and thought-provoking comments. I am still pondering what exactly to do, but I will figure it out and share with all of you. I absolutely understand your desire to have a budget, and I want to echo the others’ praise that your transparency and hard work are so appreciated. I’m struggling with many of the same frustrations and goals that you are, and it’s freaking hard sometimes. I’m closer to a point where I know what I like and there are still things I hold onto because there’s a version of myself in my head I want to pursue who would wear *that skirt* or *those shoes*. And she’s fighting against the part of me that tells me I’ll be happier with fewer items to keep track of in the first place. And as for the buying – just ugh. It’s hard. For me, it’s sort of like hair color. I buy (color) and feel perfectly content for just a little two long, and then feel like I need to change everything and right now in order to be good-to-go again. Finding a place where I can buy something I love (and let go of something I don’t) without it being such an exercise is my goal, truly, at the end of the day. I’m willing to do some work: who made this? are the ethics of the company I’m buying this from in line with my own? Does this really fit and flatter? Is this really and truly me? But I also want to be able to fall in love with something and have it be exciting…without it turning into falling in love with ten somethings when I really could have been happy with two. Or one. I wrote a long post about my own closet today and I’m totally feeling this whole process today. I finally finished writing a long post I’ve been thinking on about shopping and how to keep myself on track. I had a lot of ‘eye opening’ moments when I started writing it from an outsiders perspective! Sometimes it’s best to step away from yourself and then disassociate by pretending you’re someone else (but easier said than done)! Hi Meli – my blog is p/w protected, but you are welcome to read what I post there. For credentials, just shoot me a quick email to seven2seven8(at)gmail(dot)com. I can also wholly identify. I’m at the place now where I truly have all that I need, and unless a key item wears out there is no earthly reason for me to shop. I too have a version of myself in my head that I want to explore – who would wear *that skirt* or *those shoes* and little by little I’m letting go of those things. I know that I’m happier with less. But I also would like to be able to shop occasionally and fall in love with something, buy it, bring it home and wear it and enjoy wearing it frequently without feeling like I have way too much stuff that I will never have enough days in the month to wear. So for this reason I’m not going to be able to shop for a while. At first this was a scary thought. But then it occurred to me that there will always be stores selling clothes, and it will fun someday to actually need something and be able to plan and shop for it. Slowly, very slowly, I am beginning to wear a few things out such as my running shoes are beginning to need to be replaced. But in the old days I would have already bought a new pair. Just the slightest sign of wearing out would have caused me to buy a new pair. I won’t do that this time. I will wait until they really and honestly do need to be replaced. As Rebecca said it’s freaking hard. But I’m making progress. We are all making progress. Thank you Debbie, and thank you to everyone who has posted comments here. I feel less alone. It’s good to have company on this journey. Your honestly and sharing is helping me to change and reach my goal of having less and only what I love and need. I had that revelation awhile back on a good shopping day, when everything worked( very unusual ,since I have a difficult time with fit) I realized just because it fit I did not/ could not just buy it. My closet and budget were on the edge, it was also a light bulb moment. I once read a minimalist blog that gave me another ah ha moment. He said ” let the store , store it”. In other words, there will always be what we need at the store, so why spend our money now and take it home to our bursting closets. Let the store keep it until you truly need it. It reduced my unnecessary purchases when I realized I did not need it in my home at the moment. Besides, if you wait the item may be even better that the one you originally were going to purchase. It also makes you think about if you really needed it. Most of the time , the feeling passes. Thanks for sharing this, Judy. I like “let the store, store it.” I agree that the urge to buy usually passes quickly if we leave the store. That’s why the “power pause” can be such a useful tool. Many times, if I just leave the store and give myself a bit of time to think, I’ll realize I don’t really need or want the items I felt SO compelled to buy just a few minutes earlier! Great post as usual, but I also think the “get out of jail” cards you have given some of your mistake purchases are a bit of a red flag. Consignment shops and online shopping seem like things that should just be avoided. Unless, for example, you already tried on a pair of pants in a bricks-and-mortar store and loved them, but just need to go online to get the “tall” size. And the items that don’t count seem a bit like a numbers game just so at the end of the year you can meet your target. But would it be so bad to honestly say you didn’t meet your target? As long as you understand why and can adjust for next year? It’s all going to be a learning process. Anyway, I don’t want to come off as critical, because I think you are being so brave and honest in blazing a trail for the rest of us to follow that I don’t want you to stop or censor your thought processes. But those things just made me go “hmmmm”. As for me, I didn’t stick to my monthly item limit in March. My limit is 2, and I bought 5 items: two pairs of blue pants (one navy, one a brighter cobalt blue), a grey yoga top, and 2 camisoles (one navy and one raspberry pink). I love everything, and it’s all in heavy rotation already as it all fits in with the wardrobe plan. So my total for the year is 9, but I haven’t kept track of the prices. I think the two pants were about $90 together, and the yoga top and camisoles were from Costco, so they weren’t much. Thinking back to previous years, I do tend to have a shopping “bulge” in spring, and don’t buy so much the rest of the year, so I’m hoping that by the end of the year my annual total will still reflect an average of 2 per month. If not, oh well. I’ll keep working at it. Next up on my list are some shoes, as my daily wear flats are getting well past their prime, and some plain shirts as I have too many prints. I also want to find a swimsuit but that could be a very lengthy process. And I have to purge the guest closet of all the items that are currently in there waiting to go to Goodwill, as I have a guest coming. Hopefully nothing will return to MY closet! After all that, I forgot to say that I love your new purchases! Your first paragraph is right on, Sarah. I am trying to “fudge” things because I’m afraid of not meeting my goal, but you’re right… It wouldn’t be SO horrible for me to exceed my item limit. My life wouldn’t end or anything so dire. And I would still be making progress over last year. Not that I want to set myself up to fail, but I shouldn’t be so deathly afraid of it, either. Thanks for sharing your accountability, too. It’s great that your new items are already in heavy rotation. That’s what’s most important, that we wear and enjoy what we buy. If it’s true that spring is your heavy buying time, you could still end the year on target (or perhaps very close to it). Best wishes with finding the shoes, shirts, and swimsuit (I know that one’s not easy!) very soon! Going by the comments we are all guilty of a bit of creative accounting! If my clothing expenditure turns frightening, i spend on a debit or credit card that i don’t track ( i have an account where i get the odd bit of money for birthdays etc from my family). Since it doesn’t come out of my wages, it doesn’t count, right?! Debbie, you are doing really well and you are being very brave for making yourself publicly accountable as you are! If you are struggling with your item limit / rules for the year then thats just that. I wouldn’t panic about it. At least you are seriously challenging yourself to do better all the time and you ARE doing betterall the time, so a mistake here or there doesn’t really matter in my opinion. What i noticed is when you say above ” if i want to continue shopping through december”, you’re hitting the nail on the head. I want to spend less time, less energy, less money on clothes, i want a smaller wardrobe, but i want all this while continuing to shop. Of course this can’t work but the hardest part is to come to terms with the fact that shopping for pleasure has to stop if we want to truly achieve these goals (i still live in denial a lot of the time, lol). Shopping a lot of the time isn’t even about the items for me, but the day out, browsing, the discovery, the excitement and stimulation. As long as shopping provides this and nothing else in my life does, how can i possibly stop?! Thanks for this blog. It always provides food for thought. And well done, you’ve come so far already. I resonated very much with what you wrote, K. If we want to stop shopping for pleasure, we need to find other ways of meeting the emotional needs that shopping fulfills for us. Easier said than done, to be sure! I really want to not only stop shopping so much, I also want to stop LOVING to shop so much – or NEEDING to shop! Thanks for your encouragement and kind words. I hate to think I am disappointing people, but I have to be as caring and understanding of myself as I am of others. K says: “Shopping a lot of the time isn’t even about the items for me, but the day out, browsing, the discovery, the excitement and stimulation.” Wow, that hit a chord with me: I really enjoy the act of shopping itself. A shopping buddy helps me stick to my guns: to get a (boring) gray sweater as I planned, rather than yet another pair of cute brogues–and socks. Socks are my downfall. Between gifts and buys, I have almost 50 pair. 50! Over time, I know I’ll appreciate the fact that I bought the high quality simply cut sweater, but in the moment, those shoes really rock. Debbie, you’ve struck a chord with your readers too. Some of our comments, carefully phrased as they are, may sting. As an observer though, what I see is a lot of people who really learn from you and care about your progress. Count me among them. You deserve great –not just ok–clothes and a fabulous wardrobe. And you are getting there, one choice at a time. I resonated a lot with what K wrote, too, Amy. I used to collect socks, too, so I get where you’re coming from there… I don’t mind the critical comments, as long as they are respectful. I know that they usually come from a caring place and I learn a lot from what people write. The comments on this post have made me think so much that I’m going to do a follow-up post next week… You’re right – I DO deserve great clothes and a fabulous wardrobe! I’m glad to be making fewer mistakes and I know I will get there eventually. Thank you so much for yet another interesting post – as always it’s full of good observations and interesting links. With regards to your buys I was wondering if you ever do any wardrobe planning? I am only asking because you seem so reflected on the whole process of culling and buying, on numbers, budgets and stats but I don’t read so much about your individual buys. I have divided my list into two groups: Things I have to have and things I would like to have. The must-have list is not dictated by fashion blogs or magazines, nor is it only basics – it holds both basic items and more trend-based items that fit my wardrobe and style. All the items are things I have though about for a while and have a deep-felt wish to add to my wardrobe because I think they can add something to it + I have made sure they go with everything else in my wardrobe. The other list is more wishful thinking – it’s all those things that are nice to have but not need to have. Occasionally things from that list make their way to my wardrobe, but generally speaking I am aware that they are so low on my list I would have to seriously reconsider them if I suddenly had the opportunity (=money) to have them (my main question to myself: Would I really wear them if I had them? I don’t want to buy things that aren’t going to be wardrobe favourites, that’s simply a waste of time and money). Thanks for your comment, Mette. Yes, I definitely do wardrobe planning, but perhaps I don’t write as much about that as other topics. I do my planning very similar to how you do yours, but I don’t always STICK to it. The consignment shopping often allows things that are not on my list to make their way into my wardrobe (rather, I allow those things to come in!). I think that sticking to my list is really a necessary step for my recovery. I can REVISE my list as needed, but that needs to happen before I shop. It’s all too easy to say, “But I DO need this and will wear it” when you’re holding the item in your hand! I really like Mette’s suggestions. I also keep a list on my phone, sometimes it takes me a year or two to buy something on it. I really like to mull over my purchases. Determining what kinds of things I want in advance helps me do that. It give me time to think about what kind of sandals I want to add this summer and then buy when I am ready. I have fun researching, trying on things, thinking about my budget and needs and then finally pulling the trigger. It is a fun way to shop without necessarily spending money. Wardrobe planning is a lot of fun. For example, I have wanted a nice raincoat for years, but most of them look awful on me. I was in the Patagonia shop and found a perfect one. Yay! But it is probably not going to rain more this year, and they have sales, and there is an outlet near us. So, I had the fun of shopping and finding a perfect thing. I keep the rain coat on the list, but wait for the sale and check the outlet, figuring it will be a purchase later in the year. I know you have written in the past that you need warm clothes, so I would put that on a list, and then devote some time to deciding what those warm things will be, trying options on, waiting and then making a decision. By the way, I love Patagonia for outerwear. I like what you wrote, Hadilly. It makes me think of a great post on the “You Look Fab” blog on the PPP Principle (in essence, we need to be patient, practical, and picky when shopping): http://youlookfab.com/2012/01/11/the-triple-p-purchasing-principle/ It’s SO true! Oftentimes, we “settle” for less than what we truly want. Your Patagonia raincoat experience perfectly illustrates why the PPP Principle works! I love Patagonia, too. I bought a jacket from them last year and have worn it a lot! I truly love how open you are and that you don’t react to commentors (no matter how tactful or tactless they are) in anger, sadness, guilt, fear, or frustration! This is a good idea, Meli. I just might do that. I’m still pondering the best course of action… Thanks for what you wrote at the end about the comments. I feel fortunate that most are tactful and come from a caring place. In all instance, I try to consider them all deeply and see what I can learn from them. I DO learn a lot from the comments and I (usually) appreciate them! Thank you for your honest update. I admire that you put yourself out there and trust all of us to provide feedback, whether positive or negative. I am struggling right now with giving up thrift and eBay shopping. Even though I have a few things I really love that I have gotten at thrift stores and via eBay, by and large, most of them are just not right. Lots of them have been donated back but I still have a long way to go. I think what worries me most about giving these up is that it has been a cheap way to get lots of things! I am afraid to limit the number of things I buy because I am afraid, like you, that I won’t love them and then I will be “stuck” with them. What I really want are the perfect clothes in the perfect colors for the perfect price! I want a perfect wardrobe and I want to acquire it perfectly! Just writing this makes me realize what an impossible task this is. I don’t know the answer and I am not even sure there is an answer. But let’s hope that together we can wrestle with these questions and come to a point where we are content with solutions we find. I think we need to go out and play! That post is so great! It’s true that not many people notice all the details we obsess about. I love clothes but almost never notice what others are wearing. I usually just notice their facial expressions and emotions and an overall effect of how they carry themselves (again a product of emotion). First of all, I love the article you posted, Anne! So many “right on” points! As for your original comment, I SO get where you’re coming from. I turned to thrift and consignment shopping as a way to buy MORE (I also enjoy the “treasure hunt” aspect of it), but I have to admit that my track record with that type of shopping is far from stellar. I am really working to cut back on the resale shopping and I think that’s been a good thing for me. Just have a comment about consignment shops. Understand I struggle as you do. I do use consignment shop, but only for selling my clothes. My rule is the only thing coming out of a consignment shop is a check.. Sometime it seems to me that it is a store full of other people’s shopping mistakes and why would I want to take those mistakes home. That outlook/ rule is what prevents me from consignment shopping. Hope that helps! Good point, Judy. I’ve cut my consignment buying way back and have taken the cash for the pieces I’ve consigned far more often lately. However, I HAVE made some really good purchases in those stores over the years. These stores are great for when we want hard to find items, but we have to be disciplined and ONLY buy what’s on our lists! Debbie, So true about consignment stores being a great source for hard to find items!. I am just trying to limit my shopping options, so I try not to look too hard when I am in the store. No easy task! For me it is a slow process to cull my closet of pieces that I do not love, but I am making progress. I find time helps. I will revisit a piece and realize I can live without it. My first thought when I read this was that you’d be better keeping out of consignment stores altogether. On reflection, I wonder whether you might consider a separate (small!) budget for resale purchases. This would give you a bit of wiggle room to meet your goals and might be easier than going cold turkey. Use the rest of your clothing budget (dollar amount and item limit) to build your wardrobe as per your list but know that you have a bit of scope for the odd impulse purchase. I know when I’ve done weight-loss diets in the past it is easier to stick to the plan if there is the occasional treat built in. Also don’t beat yourself up to much. Even if you go over your 38 you are still on track to buy less than you did last year. This is an interesting perspective and suggestion, Marion. Comparing the shopping to the dieting really drives the point home. I am going to consider what you suggested, as well as what others have suggested in their comments. I have lots of good ideas to ponder! You’re right that I shouldn’t beat myself up too much. I agree that no matter what, I will very likely come out ahead of how I did last year. Continued growth and progress is really my aim, not perfection! I found all the comments very interesting, and helpful. The creative math creeps in. Right now I’m trying to decide on whether to count the shipping on a shirt I’m going to return because it was half of an order for the BF too and he’s keeping his shirt. Do I split the shipping in half, put it all toward his shirt? Count it all toward mine? lol Splitting hairs, but still. I liked the comment about HOW we shop versus limiting the number of items we’re accumulating. I’m struggling with my yearly limit, too. I jumped out of the gate in Jan. with like 8 items. Each successive month has been back down to 3 or 4 items, but I’m way ahead of a total 26 at this rate! But, yes, if I am still LOOKING to shop for a set amount, that’s not really the intent of recovering from overshopping, in my mind. I/we supposedly should just be getting what we need, or have planned for. Easier said than done. And I know when my life is more full and I am busier, shopping naturally falls by the wayside and is much less prominent in my life. This is the crux of it for me, filling my life without using the shopping. Having it be in it’s proper place and not substituting for something more, a hole that it can’t fill. You’re doing great, and I appreciate the transparency. I don’t think I’ll hit my numbers, unless I move home much earlier than late fall as planned. But I know I’m doing better than last year, which was better than the year before it! As are you. We’ll get there. I know you “get” where I’m coming from, Mo. Like you, I shop less when my life is “fuller.” But we both have our reasons why our lives can’t really be fuller right now – for you being away from home and for me my health challenges. I can’t really take too much new on at this point until I am feeling better, but shopping is something I can do when I feel up to it and I don’t have to make plans that I might potentially have to cancel due to illness. I’m not sure I will hit my numbers either this year, but I think that our striving for those goals will put us ahead of where we would be otherwise. We are also continuing to learn about ourselves and our relationship to shopping. Those are all good things and we should always acknowledge ourselves for our progress! I like your observation about the prints that are woven into the fabric rather than printed on – it’s a small detail but these can really make such a difference in how a piece of clothing wears. All good stuff to take note of. I always admire your thorough analysis of both why you choose to buy something and why you choose to get rid of something, these things are important to notice in order to refine our shopping to only buying things that we truly love and use. Sorry to hear about your down times, Emma, but I appreciate that you wrote about them and offered the rest of us some tips we can use. I hope things will look up for you very soon! I’m glad you like my analysis. It helps me a lot to do that every month and I’m glad that others learn from the exercise as well! Oh my there are so many wonderful and thoughtful comments to your post!! I love that some are ‘calling you out’ esp on your creative math – and find I am also guilty of some of this! I think it does point to our weak spots – for me not including t shirts, undergarments and workout clothes – gives me license to get my ‘fix’ in those areas when I’ve spent too much and my numbers are higher than should be! Bottom line to me is that this is for sure an ongoing battle lol!! I am challenging myself to 24 items for the year (and am a big fashion lover) and feel since taking inventory I can do the low numbers far easier than sticking to a budget. I did just have a big relapse by purchasing a new expensive bag (not in the budget) and am trying to justify that somewhat. My income from consignment and ebay sales has covered about half of the bag so far and I am still purging. Sometimes this is just exhausting!! I agree that this whole process can be exhausting, Sandy! I appreciate that readers call me out on my creative math, as it forces me to address my behavior and make changes (which I plan to do very soon). I’m glad that the item limit is helpful for you. I remember that the expensive bag was for turning 50. I will likely buy myself something nice for that milestone (a bit over 2 years away now…), too! It’s great that you have consignment sales and eBay income to cover the cost. Good for you! Debbie, thank you for your honesty. I just wanted to let you know that I was inspired by you to total all my clothing and accessories purchases for this year, and I was actually shocked by the total amount. I had been keeping a running total of items in my head, but I had forgotten some things. Let’s just say my total amount spent this year is significantly higher than yours! I have bought 10 clothing items and 5 accessories. And I thought your budget was higher than what I needed, since I don’t even like to shop- ha! Thanks again – your blog is really helping me become more aware of my own shopping. I’m so happy to have inspired you, Heather. The accountability has been extremely helpful for me and I’m glad you’re finding it beneficial as well. I wish you more awareness of your shopping moving forward! Great post! It’s easy to get all caught up in the rules but when you look at the big picture you are making good progress. You got rid of 8 pieces/ 2 striped tops ,way to go! Also pj’s & accessories! I find that when I stray from my shopping list I make mistakes & usually buy duplicates. This year I have purchased 9 items, 5 from my list and 4 mistakes not on my list. I have already donated them. I’m going to commit to only buying pieces from my list. I see that you have about 15 items on your shopping list. I’m curious if you have purchased any of those items? The first piece I bought on my list was a charcoal gray v neck tee shirt in cashmere cotton blend for $150. I have never spent that much on a tee shirt! The fabric feels fantastic next to my skin and I love wearing it. I will never go back to buying the $29 cotton tissue tees by a very popular store. I would rather have that 1 luxury item than 5 of the ordinary ones. I’m slowly upgrading each category of my wardrobe. It would be great to see you treat yourself to some luxury pieces that you really love to wear. You made some great points,Jan. I agree that it’s better to have one really fabulous item over 5 ordinary ones. I have difficulty trusting myself to make the right decisions, though, which is why I’ve often bought lots of less expensive things. I figured the risk was lower… Three of the five items (white cardi, grey tee, geometric print item – skirt) were on my list (I only wrote a partial list on this site). The other two were sort of on my list, as I had “blouses” and “different style cardis” on the list. But I probably didn’t NEED to buy those two pieces if I’m really honest with myself (which I try to be!). I’m going to refine my list before I shop again and then FORCE myself to stick to it! I live in Europe where clothing is more expensive and we don’t have big shopping malls. The last time I visited the USA I went to an enormous mall and I could see how easily a shopping addiction could be fueled. So many shops, so much competition between retailers for your money, so much choice, so many bargains – so much you need, want, have to have. I have committed to shopping less. I have shopped too much in the past years but more than that, I have got rid of too much. Buy and get rid of – it’s such a stupid cycle of waste. I decided I really had to stop. I got strict with myself. I restricted my color palette and stopped buying duplicates. I resoled my boots and kept them going another season. I started wearing my good clothes. I really thought about what I need in my wardrobe rather than just buying because I went crazy in the store. It does seem like Europeans aren’t as prone to excess as Americans, but the comments from some Europeans on my “ideal wardrobe” post showed that the tendency to overshop has moved across the pond as well… I’m glad you have gotten your wardrobe and shopping under control, Carolyn. Congrats on refining your colors, letting go of duplicates, repairing rather than replacing (in terms of the boots), and buying only two things last month. Keep up the great work! Good analysis on your departing items. I find reviewing mistakes to be informative. I will say that white sweaters don’t have excessively long lives in my wardrobe. I’m a dedicated coffee drinker and they seem to get spots. Still, for someone who works in an over air conditioned environment they’re nice to have because white goes with so many things. Thanks, Ginger. I agree that reviewing mistakes helps a lot in terms of not repeating them. I know what you mean about white sweaters and white items in general. I love white, but it IS harder to keep clean! I wonder if the getting rid of isn’t just as addictive as the accumulation. Perhaps–once we get down to a manageable number –we do a “getting rid of” ban. I wonder if that wouldn’t also stop the accumulation. frugalscholar, an excellent thought! I’m sure having a ban on “getting rid of” will work for me and will force me to think hard before buying another item. I agree with Annie and Terra that this is an excellent idea, Frugalscholar! Sometimes we make it too easy on ourselves to both bring things in AND let things go. I am guilty of overdoing it on both fronts, as it isn’t all that hard for me to purge items (and you all know it’s not hard for me to bring things in!). I’m going to ponder this one for sure! I love this post and wanted to say what an inspiration you are, and that you are my go-to author when I am feeling down and depressed about where my shopping/purging cycle has got me financially and emotionally. I want to weep when I consider the financial drain, not to mention cumulative hours spent on shopping. Reading what your lovely readers have posted and your own posts have helped me to confront what the real issues are for me. The problem is that the issues change, transmute, transfer and take different priorities depending on what’s going on in my life at any given time, but fundamentally, I shop because I am “searching”. Searching for an identity of who I want to be, how I am perceived, searching for the ultimate minimalist wardrobe, searching for comfort. In my life, I have had to compromise – through childhood I was forced to become a care-giver (something I am still doing), have been through divorce and made sacrifices to my lifestyle and career in order to bring my two sons to adulthood. I gained a lot of weight in the last five years especially since my father died and I am now, thankfully, on the journey to weight loss. With every size I drop, there is an urge to buy new clothes as the old ones don’t fit any more and anyhow don’t feel like me. I shop to change my “look” – buying and purging different silhouettes. I do feel that I am governed by an OCD-type behaviour pattern, as unless my wardrobe is entirely uniform, it will literally cause me sleepless nights and I often wake in the middle of the night to do some wardrobe rearranging. My compulsion is deep-seated and not about the thrill of the shop – people don’t believe me when I say I HATE the act of shopping. For me, shopping is a means to an end, it is about starting afresh every few weeks, a chance to reinvent myself, and be who I want to be. I am obsessive about numbers. My wardrobe has reached up to 100 items in the past but this has triggered a massive purge, only to start the cycle over again. My current wardrobe is at less than 40 items in total. Right now, I can’t seem to find the right trousers (in the US you call them “pants” but here in the UK “pants” are undergarments!) I am feeling overwhelmed with the desire to buy more trousers – and yes, purge the 8 pairs I already own. Your blog creates an oasis moment for me, and gives me a sense of release and relief. Andrea, I just wanted to reach out to you and give you a virtual hug. First, let go of the decisions you’ve made before today and forgive yourself those purchases and those dollars. They have brought you to a place where you’re trying to be more mindful, and that’s a gift. Instead, use that feeling about the rotating closet to guide you when you are inclined to shop and purge items, or make other decisions in your life. While I’m trying to change my closet from the “revolving door”, I also firmly believe that we all deserve clothing that feels good, fits, and flatters. If our weight changes and the clothing we have doesn’t do these things, then carefully purchasing the items we need for our wardrobes to once again work for us isn’t frivolous, it’s good self-care. That said, if you can instead stabilize your weight (at a healthful place, whether or not it’s where you’d otherwise choose to be – I’m also big on honoring what is right for your body irrespective of society’s messages), that will reduce your need to change out wardrobe items due to significant fluctuations. As for figuring yourself out, perhaps living with your capsule wardrobe (I’d consider 40 a capsule wardrobe – I probably have several hundred things if I add up my PJs, loungewear, etc) for a set time – maybe promise yourself no shopping for 3 months, a la Project 333 – then focus your energy on making what you have reflect the style you like. Wear what you’re drawn to each day, and try to make it as lovely as you can. Get on Pinterest and pin photos of outfits that you find most appealing. Figure out what are common elements in those looks and use it to try variations in your own wardrobe, or when you’re ready to shop again. Take a photo of your outfit everyday and strive not to repeat looks unless you decide they really work for you. Then, once a month or so, review the photos and figure out what you like about the good looks, and what you loathe about the bad ones. I am an attorney, and don’t mind wearing suits if I pair it with feminine shoes and soft blouses, but feel too as if my look skews too masculine when I wear a cotton button-up blouses, simple crew-neck tees, or turtlenecks and loathe suits those days (especially the blazers). For me, I have to have a balance between soft and tailored, masculine and feminine. Too much of either element really ruins an outfit for me. Within that, I’ve also discovered that some of my favorite looks hint at (but aren’t too literally) “cowgirl” with a little bit of urban (say, “Brooklyn” flair). I call it “Sundance-hipster chic” referring to the Robert Redford clothing and accessory company (when I refer to Sundance). It’s kind of goofy, but this also helps me balance what feels good in my head versus what I feel like presents an authentic version of myself to the world – I see myself when I get dressed in the morning. I live with the outfit for the day. And then, once a week, I look at my outfit photo. Does it fit? Flatter? Was it appropriate for the day? And when you know what your style is, and what colors you like (as much as those colors like you back), it starts to limit what you shop for. You stop searching for the trends that don’t work for you (e.g., green and I just don’t get along; neither can I wear stilettos with any regularity any longer, and long drapey items are best reserved for people built more like Debbie than like petite me! ), and stick to what you like (pencil skirts, tailored pants, not-too-fitted tops, boots or ballet flats and not much in between). It becomes easier. Rebecca, thank you so much – I feel your virtual hug and your post has brought tears to my eyes. Your tips for recovery are great. I will certainly try to get used to wearing what I feel like and the best outfit I can ensemble as opposed to saving them for best. I am going to try photographing the outfits as you suggest and then leaving it a month – that will be the hardest bit – before purging. I am so with you on the tailored vs feminine look. As a high school teacher my look needs to be smart and serviceable, and like you, I find that overly tailored or overly feminine items are just not me, so a blend of both is best fit. I wish had stuck with this and not fallen for the “drapey” and “feminine” style that I was convinced was me, due to my shape, which is hourglass so it is counter-intuitive to go for a tailored look. However, I know that’s what works best and feels best. You have many companions on this road, Andrea! I am hourglass, too, and find that the RIGHT tailoring makes a big difference. Without a little nip at the waist and knee, you can’t see that you get smaller at those places, and you become A curve instead of a lovely SET of them. All the best to you. I send virtual hugs your way, too, Andrea! I can really identify with SO much of what you wrote, especially the parts about searching and the compulsion to rearrange. Rebecca gave you SUCH great advice that I don’t have much to add. Taking outfit photos really does help. I do it all the time and my style continues to evolve as a result. I also collect “inspiration photos” for styles that “speak” to me. It definitely takes a while to evolve one’s style, so patience is key, too. One other piece of advice I have is to not buy or purge too much at once. I’m trying to do that, too. I find that as I’m bringing things in and letting other things go more slowly, I’m getting a much better sense of what I do and don’t like and why. There are obviously other things going on for both of us besides wanting to evolve our style. The searching piece applies to so many other areas of life, but it can be more tangible and less overwhelming when applied to our wardrobe. I think we have to be more gentle with ourselves and not expect change to happen overnight. I don’t have all the answers to be sure, but I’m glad you enjoy my blog. Thank you for taking the time to comment and for being so honest! Hang in there – it gets better! Thanks Terra. It means a lot coming from you. I so admire your comments and your writing–here and on your own site. I’ve been wanting to let you know that for a while.